The phenomenon of black holes in space was only theoretical until the late 1950s and early 1960s, when scientists began to apply the theory of relativity to these mathematical oddities. Through decades of research and calculations, scientists have now more or less accepted the existence of black holes as truth. They never expected to find black holes right here on Earth, however. 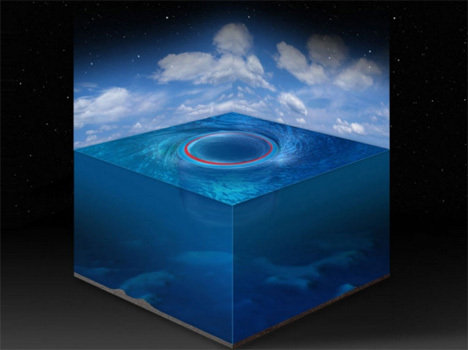 That all changed when scientists from ETH Zurich and the University of Miami discovered what could reasonably be called black holes in the middle of the ocean. These water-bound “black holes” are mathematically equivalent to black holes in space. They exhibit many of the same characteristics of space black holes: nothing that gets too close to them can escape, including water. These Earthly “black holes” – more or less giant rotating eddies – can span up to 90 miles in diameter and have been observed drifting around the ocean for up to a year. Far from the rather scary prospect of black holes in space, the ocean-bound massive eddies help to distribute warm and salty water and microorganisms like plankton around the ocean. They also pick up pollutants like oil and plastics. 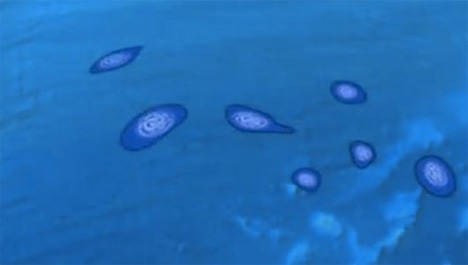 Since the eddies do not lose a single drop of water on their travels, they take everything that they pick up with them until they dissipate in a new location. Thanks to their unique characteristics, the black holes of the ocean can help scientists and mathematicians learn more about the black holes of space and even pollution distribution channels in Earth’s oceans. See more in Earth & Nature or under Science. October, 2013.